I hate the other Dallas Morning News app. It's laid out oddly. I didn't know this one existed. Love it because it's laid out exactly like the paper version. My eyes have changed so much as I've gotten older that it's difficult for me to read paper versions of books, magazines and newspapers. I get all now on my iPad, which I purchased specifically because of my eyes. My husband and I love to go to breakfast and read the paper. This will make it much easier for me. I see a lot of bad reviews, but I just read the whole Sunday paper with no issues. The app description indicates family sharing but I could never get it to work. This app is incredibly frustrating! Sometimes when you turn the page, the new page momentarily shows and then the page goes blank. Ay other times you momentarily touch an article and the app tries to bring it up full screen only to go into an endless cycle that you can only stop by deleting the app and reinstalling it. It is hard for me to believe a newspaper like the Belo Corp. can’t produce an app that isn’t much better than this. If something doesn’t change soon for the better I’m cancelling my subscription. We use this app regularly while traveling. It is a good way to keep up with what’s happening in the Dallas area. I read it on my iPad, while my wife uses her iPad Mini. The only problem we see is that it is too sensitive to a random touch taking you to the “article” view. I’d rather read most stories in newspaper format. I'm a paying subscriber and this app is often useless. Frequent lock ups and timeouts. When it works, its fine. Mine lasted 3 days. Tech support was nice but basically walked me through new setup then wanted to reinstall the app which was installed 3 days before. I may give it a try in a few months but I spent more time getting this set up than I did reading the paper. Its too expensive to justify this level of trouble. DMN app is immature. Frequently crashes when processing the download. Same before and after the latest iPad sw upgrade. Slow to process the downloaded paper. Overly sensitive to touch that loads individual stories. It is just ok once it loads. Needs improvement. Revised: It has gotten worse, now constantly won’t load. Come on DMN hire somebody to fix this thing or you will lose another subscriber. This app is very frustrating. I have to try and open it multiple times to get it to run. It is unbelievable that a major city newspaper does not have a better app for their customers. I was a subscriber of the paper for 30+ years, and just recently moved, so I decided to just get the electronic version. If this doesn’t improve I may have to cancel my subscription all together. Keep getting “Login Unsuccessful, Please Try Again” error message. Useless app. I read the electronic version when I am out of town. I love the format! It has the same look and feel of reading the printed version. Would like to read it on an e-reader so it wouldn’t strain my eyes as much when I read on an iPad or computer screen. I’m really trying to support a free press, however this app is horrible! If my subscription is paid, I should be able to access content and not get and error message when logging in, resetting my password, deleting and reinstalling the app, etc. and STILL not being able to read the paper. DMN needs to fix this - if not, I’ll cancel my subscription again. I travel quite a bit and often times download the eEdition from my hotel room. When I get on the airplane I can’t even read the paper because it tells me I have to have an Internet connection. what a joke this app is! App on iOS 11.2 is not well. Paper doesn’t load. Upon tapping the icon, screen goes black and eventually returns to my home page. Today I deleted the app to redownload it but the app won’t even fully download now! Update - App Store circle icon never completed but the app appeared on my home page and the app opens normally. A new participant in e-paper on iPhone. I have really enjoyed reading the paper on my iPhone at four in the morning when I cannot sleep. Two suggestions: 1 The “page jump” by number at the top of the screen should be to a page just in that section… Not a sequential overall page sequence of the paper! The latter is meaningless, where as the former would be very helpful. If you are in B section, and you enter the number six, it should take you to B6! 2 when you tap to open a certain article, it should include the whole article, including the part on another page. It seems to do this sometimes… So inconsistent. The e-paper has been a wonderful new discovery in my life! Thanks! PS thanks for fixing the section deficiency so quickly today! I really enjoy the DMN and moved from the print to digital version several years ago. Their initial reader was decent, with pictures slightly out of focus and not every page scanned in. But they gave it the old college try to get the newspaper out on time in the morning. A couple of years ago they went to a new reader with clearer pics and better paging. They should have stayed with that version. Earlier this year they went to a new reader that would crash several times before it loaded. After four or five crashes, the app would load. There would also be pages where the reader froze for several minutes. You could get out of the page and back in, but it would still be frozen. Eventually it would come back and go to the next page. But this pattern would repeat in a few pages. In a 55 page edition, this would happen 4 or 5 times. Now some bright DMN advertising person thinks it's a great idea to give up 20% of the on-page real estate for Google type ads. Not a good move. We pay for DMN content already, so are they not making enough profit that they have to push paid ads? They run the risk of running off readership with their greed. But I suspect that they realize that us addicted daily newspaper readers will put up with this distraction to get to the daily news to go with our morning coffee. Meanwhile, I have vowed to never buy from an ad or cater to their advertising. Hopefully they soon realize that the Google ads are not a revenue stream, but they have lost readers because of them, and they give us back the full page on the screen that this version of the app took away. I’m going to have to cancel my subscription. I used to love the old paper on my iPad, but this new version is slow....it crashes....I HATE it. I can’t even get the app to load at all today. I give up. Thank you for apparently listening and turning those horribly glaring ads off. I'm leaving in the next part of my review mainly to spotlight the fact that this app is so inconsistent, some days it works well and some days it doesn't. (Also I noticed today that not only are the page continuing links not working, but the app seems to have lost its ability to send a link or an email about an article to someone.) The app can use other some tweaks and I hope that it will get more user friendly and dependable. I hope to see continued improvements. Sorry folks. Every day I open the app and hope it works. About once a week hopes are gone and no paper. Been using this app to read my paper and can say in last year it has gone from bad to REALLY worse. I’ve been a customer of the paper for over 25 years, and this app almost makes be what to drop my subscription. It’s completely unreliable, slow, and hard to utilize. The downloading feature is especially slow, and at times, does not allow you to access the paper you just downloading. Lastly, it’s been 5+ days since I have been able to access the paper at all, and keep getting an error message about my login information not being right, though I have verified over the phone with customer service that my subscription is active and my information is correct. Simply a bust! Thanks for turning the ads on the bottom of the screen off Always enjoy reading the Morning News ePaper. They have reset my password on the phone several times and I finally gave up. After 2 months, I went in and signed up again and was paying double just so I could access the subscription. I started having problems again tonight and finally got it to work. We will see if I can access tomorrow’s paper. The customer service is great. They are courteous and helpful. The app is the problem. I'm assuming there is a 12 year old kid somewhere who designed this newspaper app. So far I haven't been able to find any information about how to contact customer service, how to search for anything, just too many amateurish problems to list. 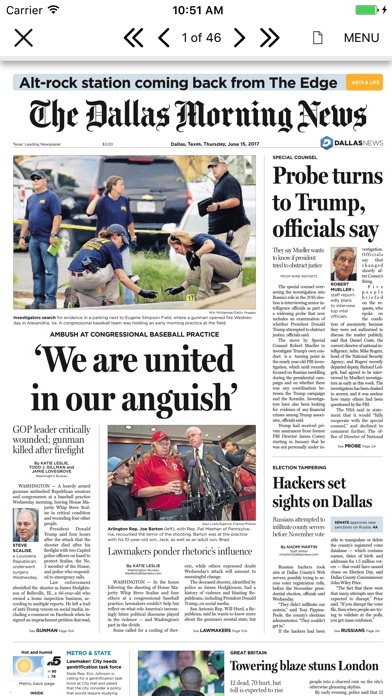 I subscribed to the DMN so that I could stay up to date on local issues but it's just too hard to move around or find a past article for reference (no search option). I subscribe to the New York Times and Washington Post and it's as if they and the DMN were designed on different planets. Different decades too, DMN in the 1990s and NYT/WaPo in the present. I'm canceling my subscription. 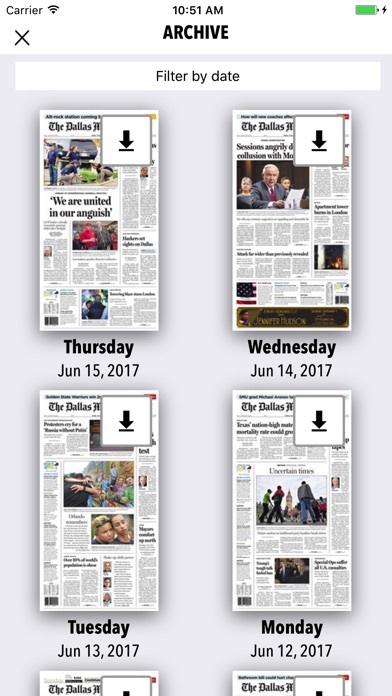 On any given day I never know if the app will load the DMN paper in it's entirety or if will even let me access the current paper. PLEASE fix the app so it is not a hit or miss situation every single time I try to read the paper on my ipad. It is afterall, a paid subscription. And now the ads on the bottom? Shouldn’t have to see unwanted ads when I’m paying for this subscription! Really, a big fat ad at the bottom when I’m already paying for the subscription? This app keeps crashing when ads change. Time to subscribe to a different news source. This APP is unreliable, frustrating and a total waste of money. Just this week I have had to call "Customer Care" twice because my paper would not download. The first call produced instant results. Paper delivered immediately. Today, four days later, the woman who answered didn't know what "Digital' was. Asked me to check around my driveway and my bushes. Eventually she figured it out and said she would send me a link to rest my password.....4 hours later still no link. She also said I would receive tomorrow's paper. I am hopeful, but doubtful. This APP is so last century. PS.....the app seems to be working with few hiccups. Easy to download or “read now”. I read the ‘news’ in the morning. Asking you to allow me to pick up where I left off. Not necessary to reread the front page. Make me happy, ok? Go back to drawing board. it has gone from 2 try’s to start the program to unable to open at all. I have had troubles opening the app ever since you changed to the new app, but now I have Ben unable to open the app since Oct. 29th. I have made about 5 attempts per day for 3 days. Very poor app! The only thing worse is the Customer Service Reps who do not have a clue! I just looked at this review after about a year. It’s sad to say the publisher of this newspaper still does not care one bit about customer satisfaction. The same problems still occur but we must now put up with needless internet advertising on the bottom of the screen. Instead of listening to the customers concerns they turn a deaf ear. We might as well cancel our subscription now since they are driving this once proud paper into the ground. This is the bottom of the barrel for newspaper epapers ! 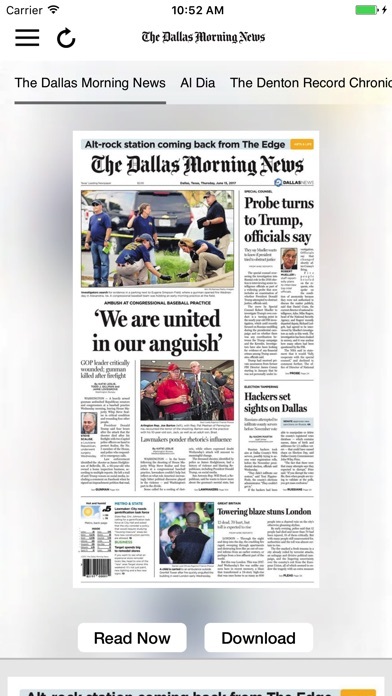 Run, don't walk away from a DALLAS Morning News epaper application. There is NO customer support! Why can't the developers test an Apple IPad Pro at ISO 10.3.3 to run their own testing? Have you even made sure the app on Apple app site is even the most current available? It would be great if they at least tried to communicate proactively with the users instead of hiding behind support staff who may or may not understand the problems It's hard to realize that the owners, editors and management simply ignore the problems and never communicate to all of us that are still paying for a electronic subscription which simply does not work well enough to justify the cost. I'm very disappointed with the new version of this app. You should anticipate the app crashing at least 3x per attempted daily news sitting. Horrific 3rd world technology experience. I updated to the newest version hoping to see some technical solutions to the problems noted earlier. Now there is an annoying banner ad at the bottom of every page. I already pay to subscribe to the paper, plus I see all of the ads as I read each issue. But now we have to suffer through that distracting pop-up as well. Why not just keep a clean interface and modify the subscription pricing if you have to? = ======================== This app has gotten worse. On the plus side, the graphics are really sharp. But the cons outweigh. It takes too long to load when it does work (typical wait is 15-20 seconds with a black screen). Took me three times today. I finally had to delete and re-install. And downloading an issue takes a huge amount of time. The other aggravating features is the lag in focusing. When you zoom into an article, the app used to immediately show crisp fonts. But now the fonts are fuzzy while the app refreshes the page. Really distracting. This is a really good newspaper with a very weak app. It’s almost to the point of unsubscribing. =============== I've used the app for years and have to say I'm getting used to the new version. Graphics are sharp and navigation is pretty easy. Developers seem to have fixed the major issues, at least for the way I use it. Four stars now, maybe five later if it continues to work without issues. = = =========== The fix for current-day issue seems to be working (thanks). The new design is clean. One remaining issue is that an entire article does not open when clicked. It's really hard to navigate. Plus, why would you ever share an article when only part of it is included? ============= The updated version is a mess. I read the paper daily on an iPad. Today when I launch, I see the front page of the current edition. When I read or download, I get yesterday's edition. The earlier version worked OK. If you're going to update it, make it better. ============= The DMN is a very good paper and this is my main method of reading it. Very frustrating. Loads the current day about 50% of the time. Sometimes closing the app works, sometimes I have to reboot my iPad, sometimes I delete the app and re-download. There must be some way to make this reliable. Google ads on a paid subscription??? This is a mediocre at best app now made worse by ads...on a paid subscription. I’ll be canceling the electronic version and have the paper printed, driven, and thrown to my house. The egregious infusion of Google adds has turned an already glitchy app into something totally useless. Besides wasting text space for adds, the app constantly crashes and doesn't respond to scrolling gestures. The adds go or my paid subscription goes. I uploaded version 3.0.6 today and it now has an extremely annoying advertising bar across the bottom. Can’t make it go away and it takes up a large portion of screen. It’s just not worth it anymore. They obviously don’t care about serious readers. I’m going to cancel my subscription. I don't know what you guys did in your UI update a day ago, but from this long-term subscriber’s perspective, you turned this already marginal app into a sub-par joke. Now, in addition to wading thru the ads in the paper itself (understandable, since that's how revenue is generated), I'm subjected to in-app ads at the bottom of the screen, a hesitant interface that often makes flipping pages a challenge, and constant crashing (3 times already this morning, and I'm only a few sections in). I dumped and reinstalled the app on my iPad mini (running iOS 11.0.3) to no avail — the third crash happened shortly thereafter. Not a great way to start my Sunday morning. Somebody needs to get on the ball and get this app fixed once and for all. Why have I got ads covering part of the page now? Pop up ads, ads in the content, and I pay for the subscription. Enough! I quit. The google ads blink and take up too much reading space. Extremely annoying and should not be in a paid subscription. Will give them some time to reconsider this decision before cancelling it. Take the banner ads off the bottom of the page. I pay a monthly subscription to not see those. I have a paid subscription to the digital edition. The paper has tons of ads in it, just as in the print edition (no objection to that). But now they are running Google ads on top of the newspaper blocking part of the content. That is unacceptable to me. The ads are distracting as well as interfering with the actual content. Going to give them some time to reconsider this change but will drop my subscription if they don’t. Very unhappy that I now have to pay to see an obnoxious animated ad at the bottom of every page. I am paying for an ePaper, not more Google driven ads just like most of the Internet these days. Maybe time to go back to the paper version. Would give it no stars because I have to use a browser now to read the paper. It was slow when it did work. I have a good connection at my house, so that is not the problem. just reinstalled the app and it’s now loading. Now I love it again. after the latest iOS update (11.3) and DMN update, the app keeps crashing and just goes back to my home page. i thought that was what the update was supposed to fix. Other than that, I always loved this app. This is the worst excuse for an app I have seen. Approx every two months I have to completely start over as the latest edition will not load even while they have a notice that they have fixed their loading issues. Add to that the obvious issue of the Dallas Morning News being a one sided, liberal and biased publication I believe I will change newspapers in general. Often have to startup multiple times to get a paper to load. At times new day is not available by 7:00 am. Tap to zoom into an article too sensitive. The Google ads now appear to be gone. I assume this is because of all the user complaints. If this is a case of DMN actually listening to their subscribers and realizing they made a mistake, then good for them. Although there are still times when the app can be a little glitchy, I generally like using the app and so I’m willing to raise my review from 1 to 4 stars just due to the elimination of the Google ads. If the ads return, I’ll go back to 1 star. ORIGINAL REVIEW: The Dallas Morning News seems to constantly be trying to find new ways to ruin the experience of reading their paper. For those that pay money for a subscription to the e-edition, we are now being blasted with electronic ads at the bottom of each page. Ridiculous. The ads ruin the app. This app is still HORRIBLE. We are so frustrated with this app. The “down” time over-shadows the convenience of having the paper electronically. Again today, we are unable to just read the paper. Instead we received a message we have never seen before that asked us to Subscribe / Restore Purchases / Login. None of the three choices yielded a readable paper. Subscribe wanted to charge our iTunes account, Restore Purchases said we had no active account and Login was unsuccessful. 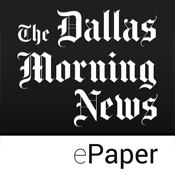 Frequent crashes and bugs plague this terrible app and Dallas Morning News digital content in general. This morning, for example, we cannot sign into either the app or our online account, so we’re denied any access to the digital content we pay for. The response from the Morning News? "Our IT Department is aware of the problem and is working hard to fix the issue.” This is a response subscribers hear all too often. The Morning News is an ok paper, but worthless if you want digital content, or if you want to use your account for any other purpose. Their delivery service is not bad, but their IT department for subscribers is very challenged. Perhaps this is just another reason why papers are failing-they just can’t get their online content to work reliably. Truly awful. I’d say subscribe to this paper only if you want home delivery and can do all your business on the phone or by mail. Otherwise, forget the Dallas Morning News. I previously one-starred this app for the screen-space-wasting ads which, apparently, have gone away. More notable is that an update on 2018-01-19 (version 3.0.9) appears to have improved performance considerably from before, most visibly in how it actually launches the paper. We'll see if it continues to be faster and stabler than it was prior to this version. For now, I'm upping my rating to 3 stars with the hope of raising it to 4 stars later.